Why not try flamingo pose? and fold your right leg behind you, catching your foot with your right hand. Stretch your left arm up to the air. Lower your led and repeat on the other side. and raise your right leg up behind you. If you visit our activities page you can download and print out the Budabebe 'Join the Toadstools' game to play with a friend - not only do you flex your body, you will flex your brain too, with a little bit of Maths. Enjoy! Fantastic coverage in the yoga Christmas gift guides! I hope everyone has a copy of the October 2012 issue of Om Yoga & Lifestyle by now. But if not, rush out and get one!!!! 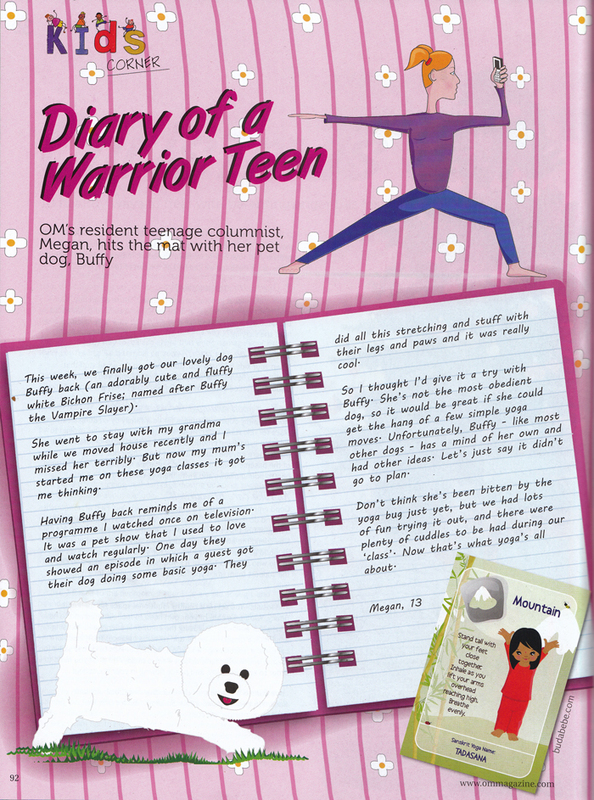 The Diary of a Teen Warrior on page 104 shows the Butterfly pose card for everyone to give it a go - yay!!!!! 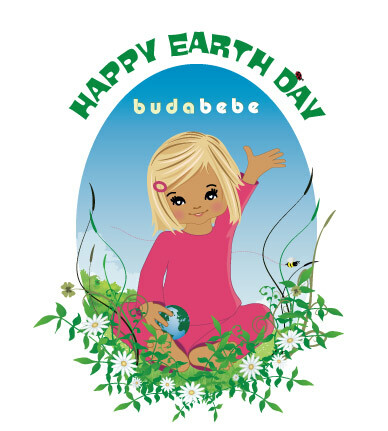 Budabebe says "Have an Awesome Autumn"
We are here to show all the little people in the world how to do Budabebe Yoga. Being active, having fun and staying healthy is the nicest way to grow up - it's the happy way to be - Budabebe! Yoga is excellent for young children, helping them develop supple healthy bodies and at the same time nurturing strong and emotionally sound minds resulting in a happy and balanced child. And happy and balanced children grow up to be happy and balanced adults! 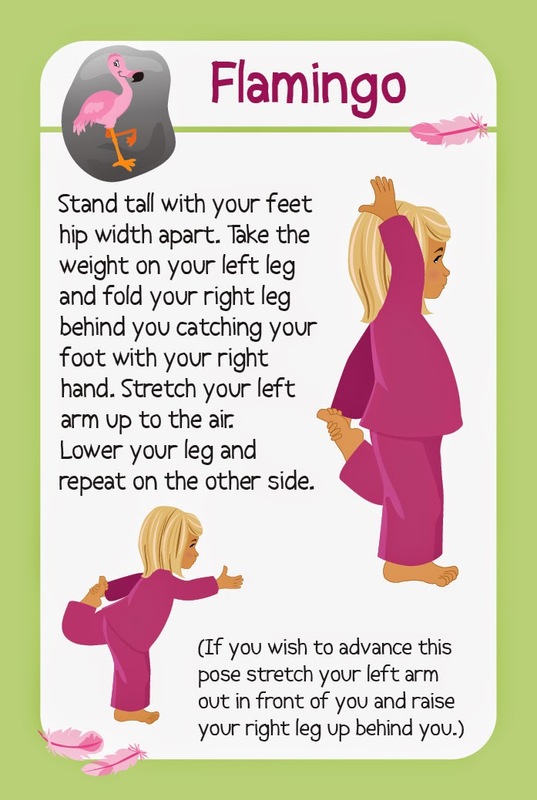 Yoga poses strengthen and nurture young muscles and enable your child to become aware of the self. 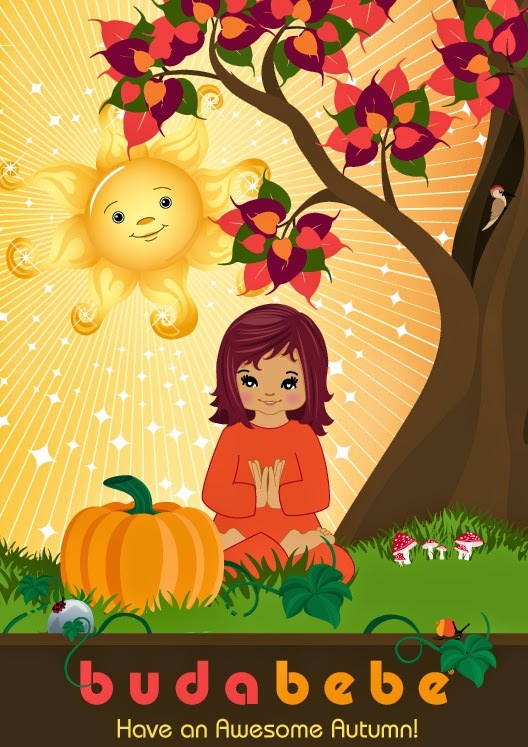 Yogic breathing is a good technique to help your child control their anger and if you have a shy child, can provide a confidence boost. 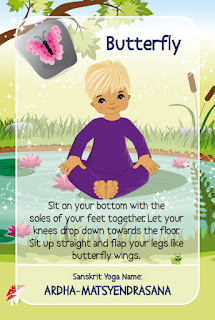 Yogic relaxation can help your child get enough rest and sleep which is an essential building block to a healthy body. The rights of Jacquie O’Neill to be identified as the author and illustrator of this work has been asserted by her in accordance with the Copyright, Designs and Patents Act, 1988.